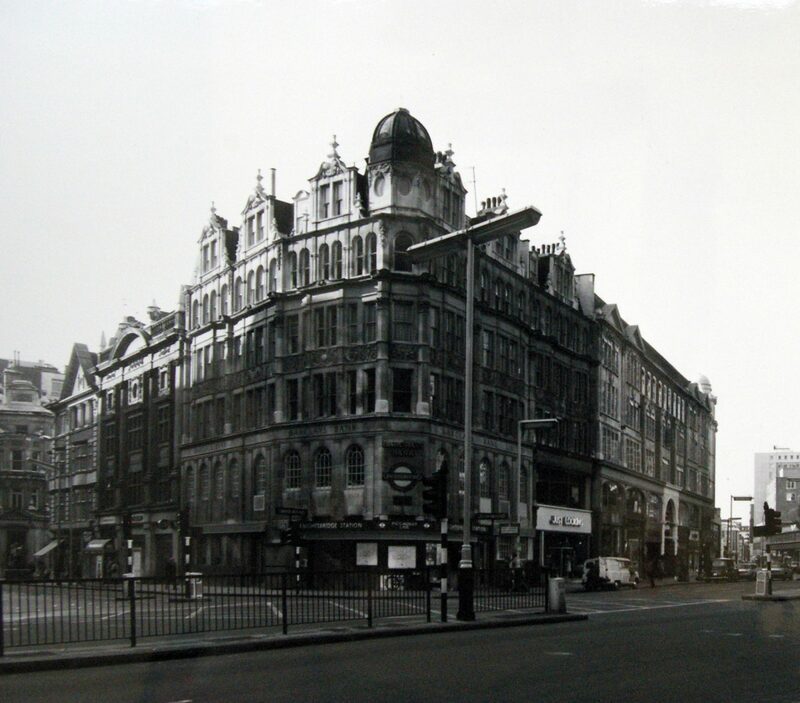 After purchasing the Knightsbridge Estate in 2010, Chelsfield appointed Donald Insall Associates to provide historic buildings advice on the large block of buildings bounded by Brompton Road, Sloane Street, Basil Street and Hans Crescent, all in the Knightsbridge Conservation Area and including several listed buildings. 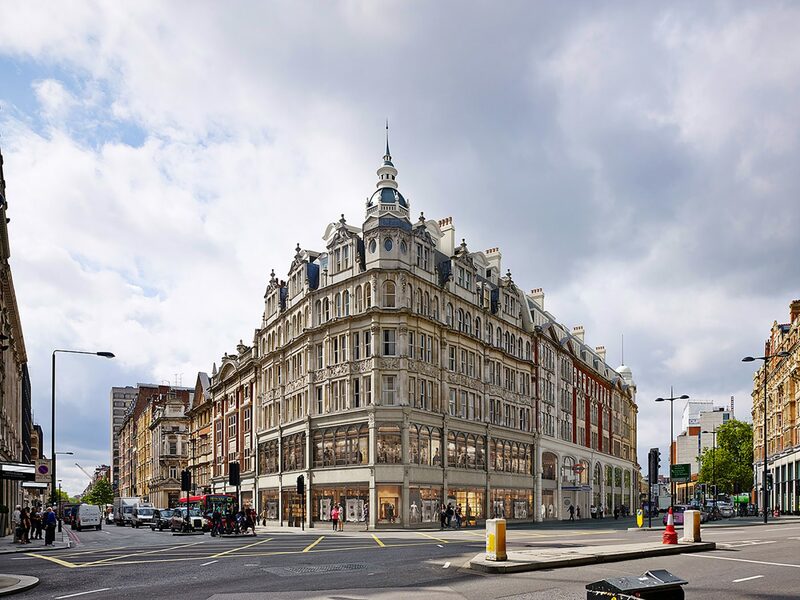 The area had become run-down, with an obvious lack of investment resulting in superannuated retail and office accommodation in one of two ‘International Shopping Centres’ designated in the London Plan. We advised that there would be scope to redevelop within the hinterland at the eastern end of the block while preserving and enhancing the historic character and fabric of the buildings. With Fletcher Priest as architects, a major scheme was granted planning permission and listed building consent to largely rebuild the block eastwards of Hoopers Court and provide an increased quantity, and greatly improved quality, of both shops and offices. 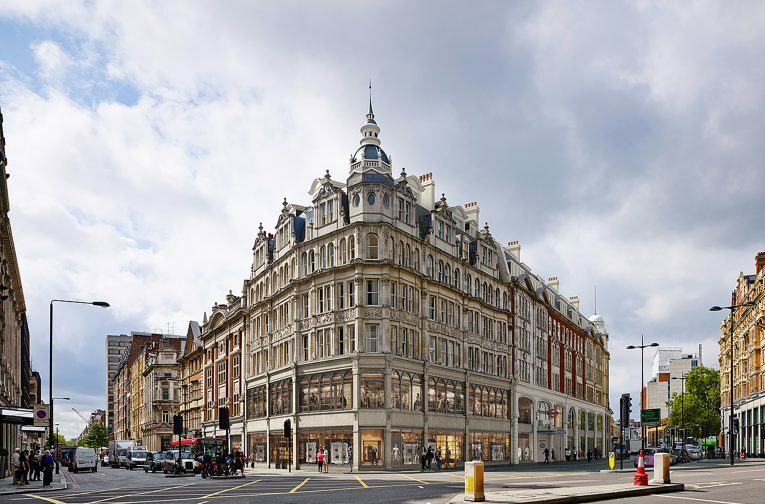 The rebuilding will include a large number of residential apartments as well as new entrances to the Knightsbridge Underground Station, one being step-free, and a much improved public realm in Hoopers Court and on Brompton Road, wherein the notoriously narrow pavements will be widened.